Are you willing to read a new series but you don’t know how to start? maybe you need some kind of introduction so you can start discovering a new saga? Book series is what you are looking for. This category is about introducing new book sagas, I will provide all the useful information you need. Starting with an introduction so you know the basics about the saga and every useful information. A brief plot summary, so you can know what the story is about and see if it fits your interests. Books in the series (and a reading order if needed) providing you the length of the series so you can know how many books you will have to read. About the author feedback, which will introduce you other works written by the same author. And also a “you might like this book if you liked” section which will give you other book titles which are similar to the series introduced. This way if you loved a certain saga you will know easily if this new series fits what you are looking for. With all this information you will be able to dive into a new saga knowing everything you need. 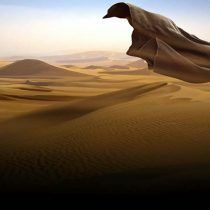 You will know you will like a new saga before turning the first page and without spoiling anything. For the longest sagas, there will be a related post with the proper reading order, so you can know exactly which is the proper way to start reading each of this recommended sagas. Hello Wottareaders, it’s time to introduce The Sword of Truth by the American author Terry Goodkind. This saga is certainly not as complex as Malazan: Book of The Fallen and not funny as Discworld. Even so, Is The Sworth of Truth worth reading? let’s find out! What is The Sword of Truth? The Sword of Truth is a high fantasy series that started with Wizard’s First Rule, and ended in 2007 with Confessor. After the original series, several novels have followed being mainly composed of two sequels: The Richard and Kahlan series and The Nicci Chronicles. The number of novels published books for this saga account to 21, two of them, Siege of Stone and The Scribbly Man, published in 2019. The last novel, Heart of Black Ice, will be published in 2020. What is The Sword of Truth about? The world of the Sword of Truth is divided into two regions, The New Wold and the Old World. The beginning of this story is set in the New world, and the story will take place weeks after the father of the main character, Richard Cypher, is murdered. 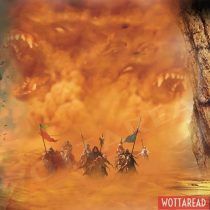 In the subsequent books, action will also take place in the Old world, after a series of events which happen in the second book, Stone of Tears. In this universe magic is powerful, having some regions such as D’Hara ruled by wizards. One of the main elements of this magic world is The Confessors, magically gifted women who can force people to work for them and therefore fulfill their purposes. This series tells the story of Richard Cypher, a woods guide whose life will change after becoming the Seeker of Truth. As a seeker, Richard will have to search for the truth and act upon it. Along with him will travel Kahlan Amnell, a Confessor seeking the First Wizard and Zeddicus Zu’l Zorander, a powerful wizard. Because of being a seeker of Truth Richard will wield the Sword of Truth. This sword will provide to its wielder additional strength and agility but nevertheless, it will also instill great anger. During his journey Richard Cypher will have to fight the forces of evil, having to defeat the wizard ruler of the Midlands, Darken Rahl. Did you know this saga had a tv series adaptation? It was named The Legend of the Seeker and it had 44 episodes comprised in two seasons. After this, it got canceled, therefore not having a third season. Zeddicus Zu’l Zorander: Bruce Spence. You can check more info at IMDB, see here. Why was Legend of the Seeker Canceled? Even though there was no explanation why The Legend of the Seeker got canceled, probably his score at Metacritic of 55 might serve as a good indicator of why this happened. Also, the general opinion was that the show lacked originality not having anything that made this tv series special. “Sometimes, making the wrong choice is better than making no choice. You have the courage to go forward, that is rare. A person who stands at the fork, unable to pick, will never get anywhere.” Wizard’s First Rule. “Love is a passion for life shared with another person. You fall in love with a person who you think is wonderful. It’s your deepest appreciation of the value of that individual, and that individual is a reflection of what you value most in life. Love, for sound reasons, can be one of life’s greatest rewards.” Chainfire. If you want to read more The Sword of Truth Book quotes just check this link on Goodreads. For those who want to start reading this saga and know the reading order, here is a quick answer. Is The Sword of Truth series finished? Yes, and no. The original series is indeed finished. However, as you see in the previous how to read, the story keeps going through its prequels. Is The Sword of Truth series worth reading? Even though this series has gotten a lot of criticism, you should give The Sword of Truth a chance and read at least the first book, Wizard’s First Rule. You will be introduced in a new fantasy world, which is engaging. The suggestion here is to start reading this series and decide if they are worth reading or not. The Sword of Truth saga is written by the American author Terry Goodkind. The Sword of Truth is by far his most notorious work, having sold more than 25 million copies worldwide. He has published other works, such as The Law of Nines, a thriller set in the real world or The Sky People, an alternate history novel which takes place on the planet Venus. Is The Sword of Truth related to the Holy Bible? As you see, there is no connection between The Sword of Truth and The Holy Bible. It’s just these two verses are similar to the title of the saga and lead to confusion. Hello Wottareaders! 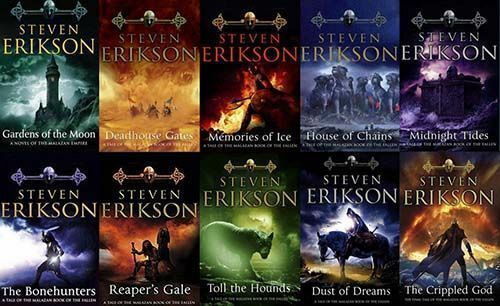 in this article I’m introducing Steven Erikson’s famous high fantasy book series Malazan Book of the Fallen. If you are looking for a complex and wide number of characters set in an immense world while all of this wrapped in a dark tone then welcome to the Malazan Empire. This series is thought to be a bit difficult to read because of the vast number of characters and personalities (mages, immortals, soldiers…). But such difficulty shouldn’t let you down: Malazan Book of The Fallen is worth reading. Malazan book of the Fallen tells the story of the Malazan armies, an expansionist nation set in the world of Wu (actually The Malazan world has no official name, but the author called it this way once and fans use it to refer to this world). Wu will be displayed through the eyes of a lot of characters through the series, showing the point of view of different races (including nonhumans) and diverse locations. The world is in a state of a great disturbance where rebellion and military conflicts appear to be the order of the day. Malazan is a ten-volume story, but unlike most of the novels in the fantasy genre, each of the volumes consists of a different series of events instead of being a single long story. That being said, each of these volumes can’t be considered stand-alone novels since some of the characters and subplots will make their appearance in more than one volume. Each of the novels has a subplot, showing a different aspect of the Malazan universe. In the first novel, Gardens of the Moon, the main characters are introduced. Along the subsequent novels, the action will take place in diverse locations such as the Seven Cities, Genabackis or Kolanse. The plot usually revolves around stories of rebellion and the armies of Wu. If you want to read more Malazan Book quotes just check this link on Goodreads. While Malazan Book of the Fallen is the name of the original series, this saga also has a prequel named The Kharkanas Trilogy and an upcoming sequel namedThe Witness Trilogy. What is the proper reading order of this saga? According to the author, Steven Erikson, the recommended reading order would be the publication order. This recommendation was posted on Reddit, see here. No announcements are made regarding any agreement about producing a Malazan Book of the Fallen movie or a tv series. Having said that, and seeing how much fantasy series are increasing these days, there is no doubt that sooner or later Hollywood will produce a movie/tv series adaptation of this series. Game of Thrones is getting to its end, and fans are looking for its successor after all. Probably, the outcome of other upcoming adaptations such as The Witcher Netflix or The Witcher Netflix will serve as a great introduction for other fantasy stories to be adapted. And of course, let’s not forget about the billionaire adaptation of Amazon’s Lord of the Rings. How difficult is Malazan Book of the Fallen? Malazan’s structure is pretty complex, there is its massive worldbuilding showing diverse cultures through the point of view of different characters. Also, as mentioned earlier, this is a ten volume story where each novel has a main subplot, set in a different location and introducing new elements and characters that make this book so rich. There is much to know about the Malazan Empire and the world of Wu. Why read Malazan Book of the Fallen? Putting this all together makes this series certainly difficult to follow if you are not an experienced fantasy reader, but don’t get this wrong, you definitely should give this series a try since it has a superb prose and such well-crafted dialogues and characters, but know that this series is not as linear and easy to follow as other fantasy books. The worldbuilding is also worth mentioning since you will able to discover different places of the universe through the eyes of so different characters. 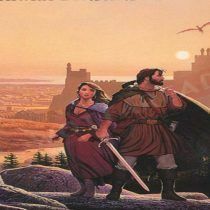 Which Malazan book is the best? There is actually no agreement at all about which Malazan book is the best, but the general opinion is that these books don’t go downhill. Hope that is enough for you to prove that this series is worth reading. Hope this introduction for this Fallen Book series was useful to you. Will you dare reading the Book of the Fallen? Hello Wottareaders, today I am introducing The Shadowhunter Chronicles. Maybe you hear of this young adult fantasy series written by the American author Cassandra Clare? it might sound familiar to you since this series has had both movie and tv series adaptations. What is The Shadowhunter Chronicles about? The simple plot predominant in the series of The Shadowhunter Chronicles is the existence of yet another world within the world of humans. This other spiritual world is inhabited by demons, greater demons, vampires, werewolves and “baddies” as the Buffy calls them. In this other world, there is also Shadowhunters as well. The Shadowhunters came to be following the consumption of the blood of an angel by a mortal man. The Shadowhunters are befogged with the sole responsibility of protecting humankind from demons and Downworlders, which of course gets intricate along the line. Some unscrupulous toadies hell-bent on ending both the world of humans and that of the Shadowhunters came into play. The main series of the original novels, The Mortal Instruments (also known as TMI), tells the story of Clary Fray. She is a teenager who eventually discovers is the descendant from a line of Shadowhunters. One day her mother is kidnapped, therefore she will have to team up with other shadowhunters in order to save her. Of course, readers who do not like paranormal creatures (i.e., vampires, werewolves, faeries, etc.) may not like what is going on here. The Mortal Instruments. Original series. Readers will better appreciate The Mortal Instruments when they read all the six books in this series when, not leaving out its prequel series, The Infernal Devices. You will find yourself being entirely immersed in this series; it is a solemn promise. The truth is that you are going to get just as attached to the characters in The Infernal Devices. So get yourself prepared for this downfall. The Mortal Instruments is one beautiful series that took book lovers by storm. 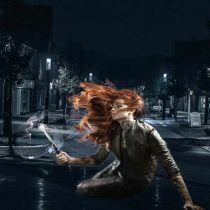 Following the progression of this book series Clary and her friends are seen fighting the prevalent evil while trying to avoid death. The above scene went on with some being more successful than others. The climax is the outburst of romantic affairs while they all fall in love with each other. The Mortal Instruments is a six novel series starting with City of Bones. The action takes place in 2007 having the city of New York as the main scenario. The Dark Artifices is a trilogy, taking place five years after The Mortal Instruments, that is, 2012. In this case, the main character is not Clary, but Emma Carstairs instead, another Shadowhunter previously introduced in the last novel of The Mortal Instruments, City of Heavenly Fire. While the main action happens around Emma Carstairs, the previous characters make their appearance letting us know how they are doing. An interesting fact about the Dark Artifices revealed by Casandra Clare on her Tumblr, this series is based on the poem Annabel Lee by Edgar Allan Poe. While The Mortal Instruments is set in 2007, it’s prequel goes back more than a century ago. More specifically, this series first novel, Clockwork Angel, is set in 1878 the action taking place in London. Infernal Devices is a trilogy and, for some fans, is considered more enjoyable than the original series. Infernal Devices will have a sequel, The Last Hours. While the first novel of this series, Chain of Gold, has not been published yet. The release date has been confirmed, it will be published in November 2019. This same year! After this, a last series will be published, The Wicked Powers, for which there are no release dates yet. This series will conclude these chronicles. The Shadowhunter Chronicles has fascinating characters. You cannot help but to completely submit yourself to every single one of her major players, most especially the romantic and platonic ties between all of them. In The Mortal Instruments, one that is stark obvious is the dramatic interplay between Clary and Jace, between Alec and Magnus, between Simon and Isabelle; these will spellbind you and keep you. The Shadowhunter Chronicles feels like fan-fiction, which entails that it is incredibly easy and fast to read. The series keeps readers enthralled, though a few elements of it may make you squirm or feel utterly ridiculous. In these novels, you will find solace in almost all of its characters that will keep you reading. As with most series, they are parts of the books that are worth the attachment, but the characters, as well as certain moments between the characters, will make all of your reservation and ‘disappointment’ ultimately worth it. The Mortal Instruments. Novels 1 to 3. The Mortal Instruments. Novels 4 to 6. The first novel of The Mortal Instruments series, City of Bones, had a movie adaptation which was released in 2013. The film, directed by Harald Zwart, had a budget of $60 million and spent around another $60 million on advertising. Since the film grossed 90 million, it was considered a major flop. As a result, the film sequel was canceled. As happened with Percy Jackson’s movie adaptation the film was expected to be a major success, and therefore the results were way below the expectations. Years after, TMI had a second adaptation. This time premiered in 2016 as a tv series named Shadowhunters, which you can watch on Netflix by the way. After three seasons the series was canceled in 2018.
Who Wrote The The Shadowhunter Chronicles? Cassandra Clare is an American author. She is best known for her novels for young adults, including the blockbuster The Chronicles of Dark Hunters, from which the series The City of Darkness comes from. If you liked The Iron King by Julie Kagawa; The Iron Fey Series, then you will love The Shadowhunter Chronicles by Cassandra Clare. Hello Wottareaders, today I am Introducing Discworld! Each time you come across the coinage “Discworld,” do not forget that it refers to an outstanding fantasy series in the world of literature. Discworld comic series is a must-read for every fantasy lover. Are you looking for a fun saga to read? you found it. If you have been following my blog, then you have heard before, since I mentioned this sage in my article about Racism in literature. 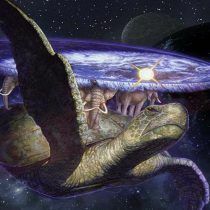 The author of this series worked relentlessly hard and created an irresistible magical flat Discworld on a turtle’s back floating laterally in space. The natives of this “turtledom” are hardworking patriots committed to building their world into a better and happy sphere. 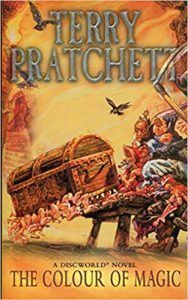 Split into several mini-series (based on the main characters); Additionally, the Discworld books is a lovely collection for readers of any age bracket. This series is a parody of the Fantasy cliches and stereotypes, full of real-world analogies and references. The first books tell the story of Rincewind, an unskilled magician, he is not a hero but a coward instead. Despite his reluctance, he will get involved in several dangerous expeditions. What are the Strengths of Discworld? The truth is; no book rivals Discworld’s magic, warmth, humor, command of words, silliness, emotion, character and occasional despairs. It is thrilling and aptly written. Every fan of the Discworld series has the same opinion. Readers looking for a stand-alone-book can be happy any of the stories can be enjoyed independently. There is a purpose for Death’s appearance in every book: he’s the best one in the universe and the most magnificent saga of the Discworld Series. The first novel focused on him showing him at his freshest and funniest. Death as a predominant saga unfolds from the beginning through all the books. Who else than Sir Terence David John Pratchett? Terry Pratchett was an excellent English writer of comical fantasy novels. One of his greatest works is the Discworld series which comprise of over 40 books. Pratchett’s published his first novel, The Carpet People, in 1971 at the age of thirteen. This saga has no movie adaptations since Terry Pratchett’s novels would be difficult to be adapted into a movie format. Alternatively, 18 novels have a stage adaptation, so if you are fond of theatre you might want to check if you can watch one of these productions! Also, Discworld has more than one videogame adaptation, most notorious are Discworld and Discworld II for Play Station and Play Station 2 respectively. Furthermore, if you like board games, you can enjoy some of this series in such format, it is the case for Thud! Guards! Guards! Clacks and Ankh-Morpork. If you like Steven Erikson’s Malazan Books of the Fallen, Lois McMaster Bujold’s Five Gods novels, or Kate Griffin’s Matthew Swift and the related Magical Anonymous series, then you will love Terry’s world. Hope my article thrilled you to read this awesome series, keep reading!